It now appears that former ISA (Israel Security Agency/Shin Bet) Director Yoram Cohen has accepted an offer from Bayit Yehudi Central Committee officials to head the party. Cohen was asked to enter politics and to undertake the party leadership position, to replace Naftali Bennet. According to the KAN Reshet Bet report, Cohen has not ruled out the possibility of entering politics but requested a bit of time to think it over. He apparently has since responded yes, but when KAN tried to confirm the report, Cohen declined to comment. First Betzalel Smotrich announced he wants to head the Bayit Yehudi party, as did Minister Uri Ariel. A poll taken to ascertain the popularity of the two showed 60% of party supporters want Smotrich to head the party as opposed to about 6% backing Ariel. Ariel announced if he is not in the first slot, he will not run for a position in the 21st Knesset but will retire from Knesset. The leader of the party, Naftali Bennet, broke away to launch his New Right party together with Ayelet Shaked. This created the vacant leadership position, along with them leaving Bayit Yehudi with an impressive NIS 22 million debt. 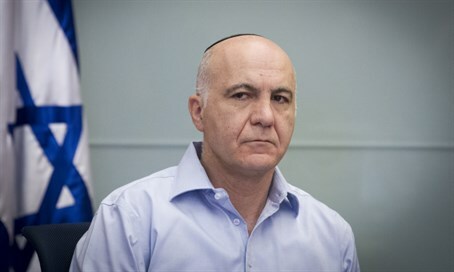 Since his release from the Shin Bet, Cohen has given a number of interviews to the media and exposed his political positions, saying that he supports an arrangement with the Palestinians, so even though he wears a kippa sruga, it is hard to see how his political positions will fit the party. Meanwhile, next Wednesday, the Bayit Yehudi leadership committee is expected to convene for the first time since Bennet and Shaked left, to decide on the method of electing the party chairman, the method of selecting the list and the dates for party primaries in order to try to stabilize the party, which was caught off guard with the resignations of the two leading officials. The whole country is led by military people. Not exactly a Jewish vision of life. I’m afraid nothing good will come out of this. When I see how religious youth is treated today by the same organization this man represented before, or maybe still represent today. Even a Kipa doesn’t hide the truth. Israeli politics takes a bad turn. Without Torah it simply doesn’t work. in Israel, at least at national News sites. The democracy is fluctuating like the value of investments on Wall Street. You don’t have the right to criticize political stand points anymore. Even the east Germany was “Democratic”. A word.